TACOMA, Wash. -- Police say an armed man was shot and taken into custody after a hostage situation that may have stemmed from a robbery gone wrong near here. The Pierce County Sheriff's Office said on Twitter at about 10 p.m. Thursday that the suspect was in custody after exchanging gunfire with deputies at Sky Motors Inc. in Parkland. The sheriff's office says the man was wearing body armor and was hit in the vest by a round fired by deputies. 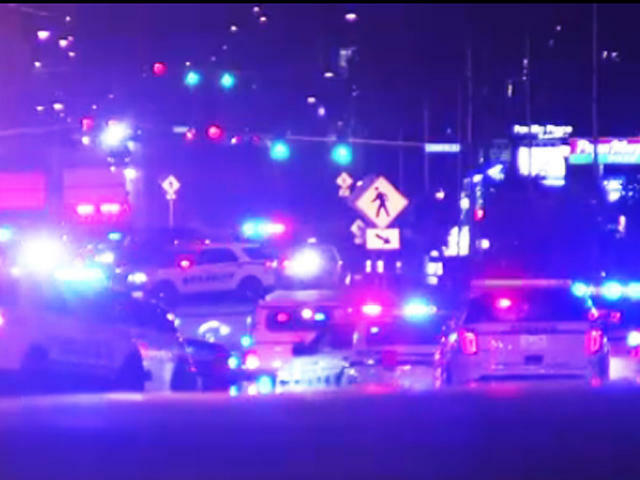 He had barricaded himself inside the business and had multiple firearms with him, including long guns, CBS Seattle affiliate KIRO-TV cites police as saying. Pierce County Sheriff Paul Pastor says the suspect entered Sky Motors Inc. in Parkland at about 8 p.m. and held four people at gunpoint. Pastor says when officers arrived, three people ran out of the building and the suspect pulled one person into a back room. He says a short time later, that person ran outside. Pastor says the man fired shots throughout the incident but no one was wounded.